One of the best things about working with Home Depot, and The Home Depot Foundation, is the amazing people you get to meet. Ms. Harris is no exception. 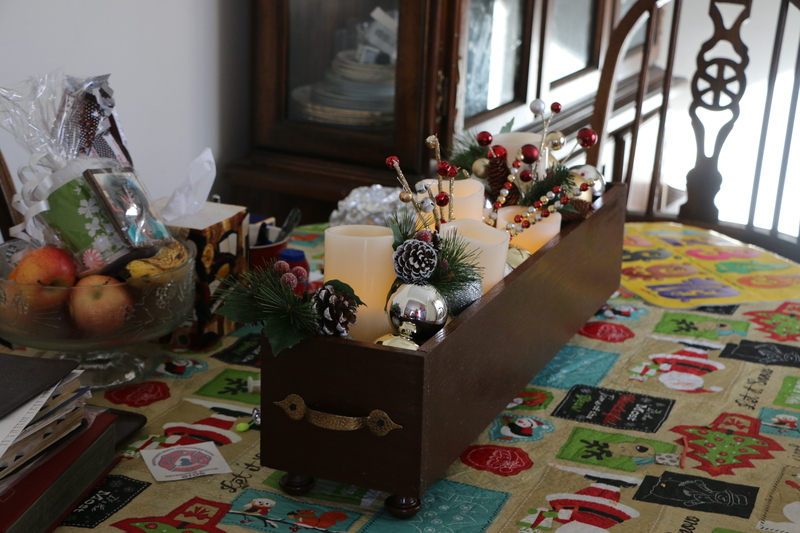 You might remember that right before Christmas I shared the tutorial for this DIY Wood Holiday Planter Centerpiece with you. I had the privilege of delivering it to Ms. Harris right before Christmas! 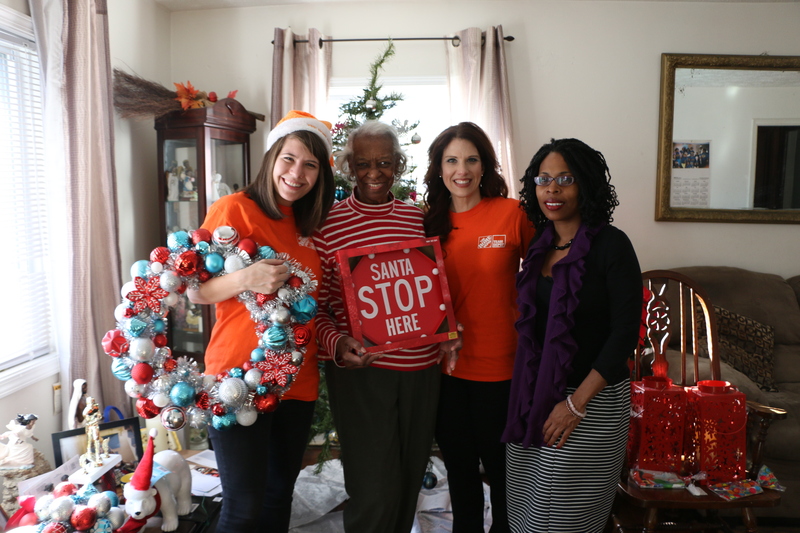 She was overjoyed to receive it and we were overjoyed to get to meet this precious veteran’s widow. We not only got to present her with the planter centerpiece, but also with a whole car full of Holiday Decorations from The Home Depot! 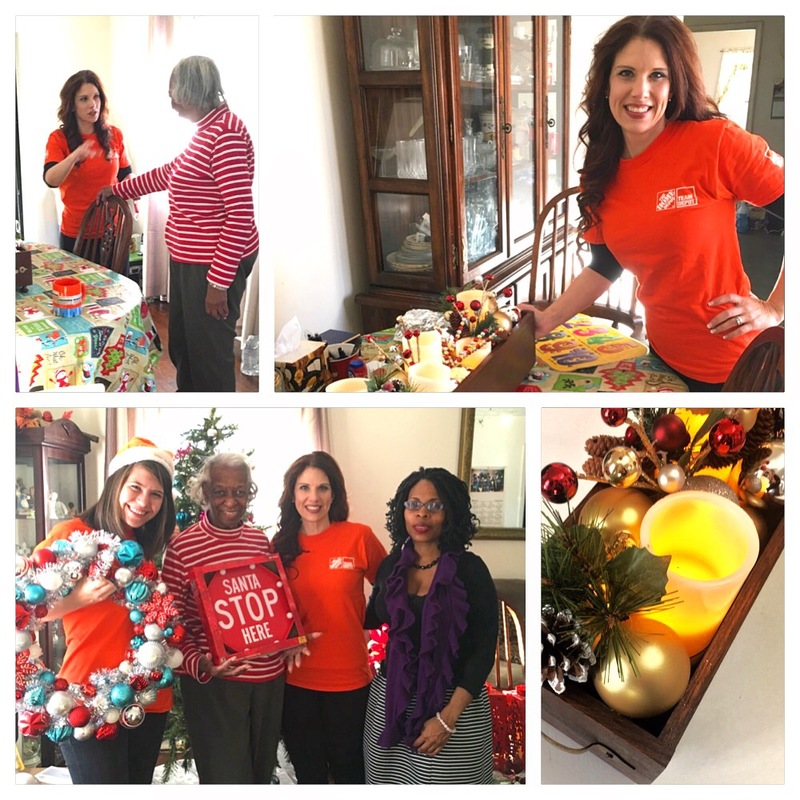 I have loved getting to be a part of The Home Depot Foundation’s Celebration of Service the last few months, because of opportunities just like this…opportunities to give back just a little to those who have given so much for us! 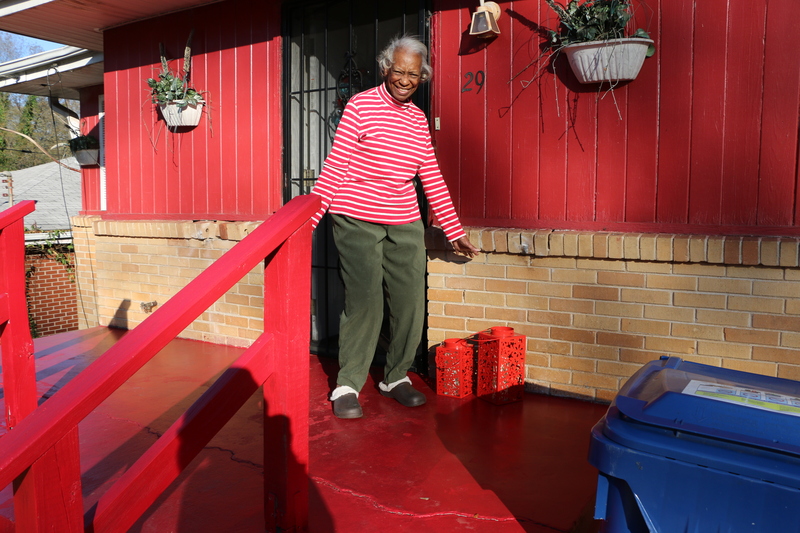 Opportunities to put a smile on the face of someone like Ms. Harris! Thank you Home Depot for allowing me to partner with you in celebrating the service of veterans! 3 Comments on "Spreading Holiday Cheer with The Home Depot"
As a Home Depot employee I’m so proud to see my company honor our veterans. I was privileged to participate in a Team Depot reno for a local vet this year. Well done, ladies. 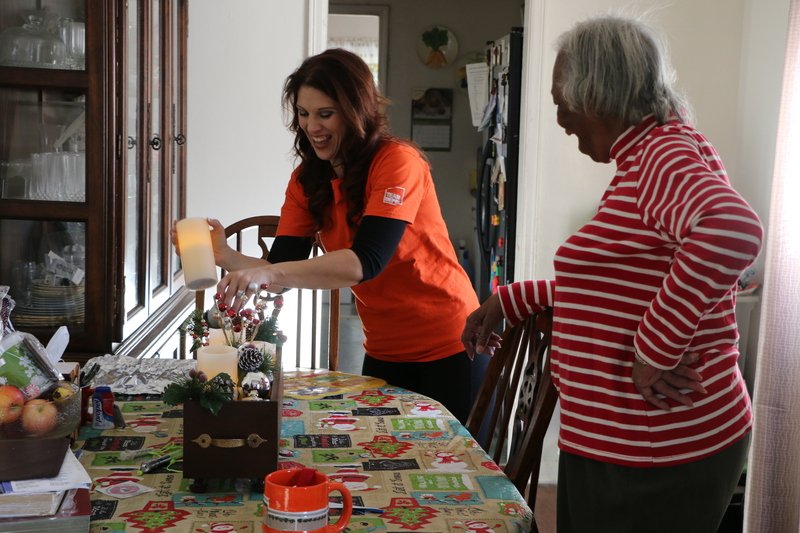 Love that the Home Depot Foundation gives so much to their communities. Home Depot is definitely a place where I love to shop! What a beautiful gift to give. I always think giving thoughtful gifts is MUCH better than receiving anything. Such a special memory for you!